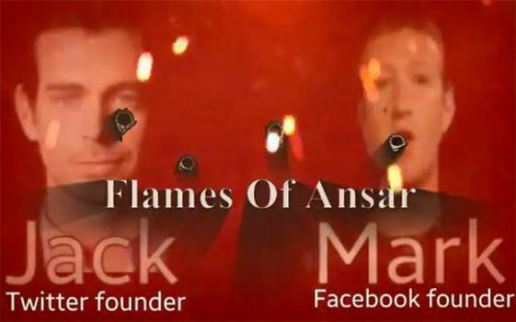 ISIS’ hacking division has released a video challenging the founders of Facebook and Twitter, Mark Zuckerberg and Jack Dorsey for closing down accounts linked with the terrorist organisation, and promising to kill them if they continue. The Sons Caliphate Army, ISIS’ hacking division titled the video released on Tuesday “Flames of the Supporters”, and in the video both C.E.O’s face were riddled with bullets. 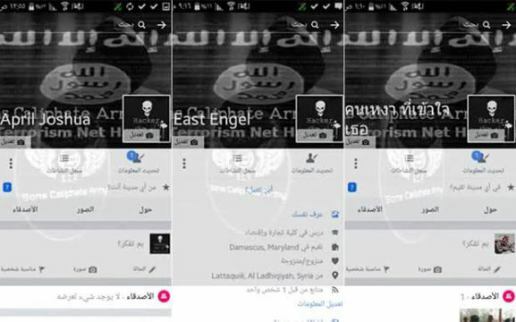 Earlier this month, Twitter revealed that it had shut down 125,000 accounts while in the last six months Facebook has shut down over 10,000 accounts linked to the terrorist organisation, in their efforts to curb terrorism and spread of information from ISIS terrorists. At the end of the video, the video text says, “To Mark and Jack, founders of Twitter and Facebook, and to their Crusader government. 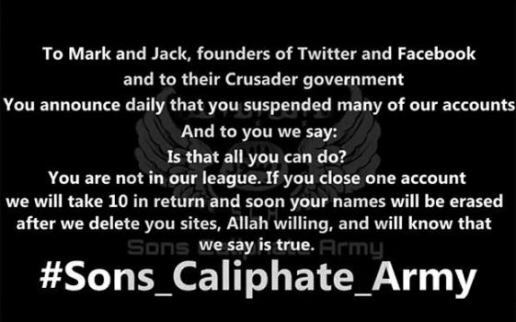 “If you close one account we will take 10 in return and soon your names will be erased after we delete you [sic] sites, Allah willing, and will know that we say is true”.